In my last few legacy Public Switched Telephone Network (PSTN) posts, I covered pulse or rotary dial service, dual tone multi frequency (DTMF) dialing service and what makes a telephone ring. In this post let's look at microphones and speakers. A telephone converts voice frequencies to electrical signals and electrical signals back to voice frequencies using basic microphone transmitter and speaker theory and application. A telephone transmitter is built into the handset of the phone and is responsible for converting sound waves into electrical signals that can be transmitted. Carbon granule transmitters are still common in wired home phones. Sound travels in waves that are actually variations in air pressure. Some of these waves enter the mouthpiece and cause a diaphragm in the transmitter microphone to vibrate back and forth. These vibrations put either more or less pressure on carbon granules in the base of the microphone. If more pressure is applied, the granules pack more tightly and conduct electricity more efficiently. Inversely, in between the waves the granules unpack and do not conduct as well. 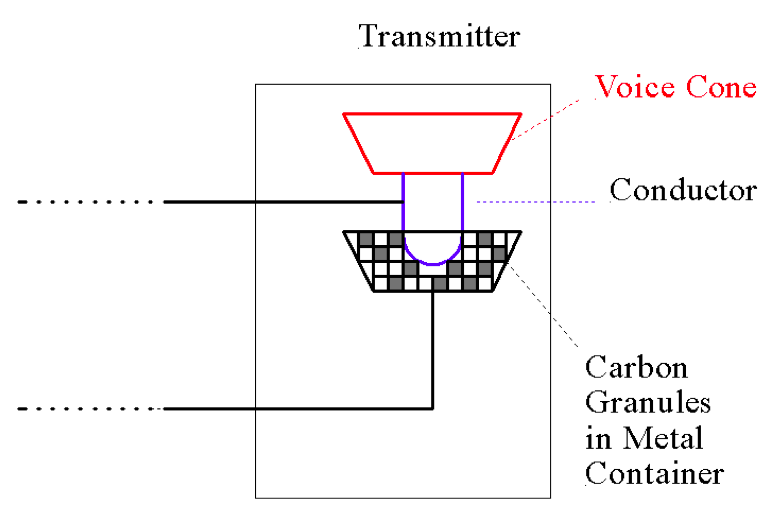 Voltage is applied across the electrical contacts and the varying amounts of resistance caused by the carbon granules in the microphone cause varying amounts of current to flow. This current variation is an electrical representation of the sound waves (voice=analog signal) entering the microphone. 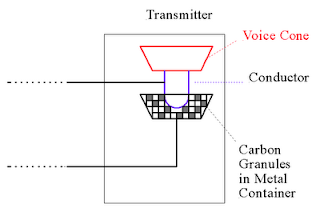 In addition to carbon granule transmitters many modern telephones use dynamic transmitters that function by moving a coil of wire inside a magnetic field to produce an electrical current in response to soundwaves or electret transmitters, also known as condenser microphones, which use a capacitor for a transducer and generally contain an amplifier circuit. The telephone handset receiver is just a simple speaker. It performs the opposite function of the transmitter in that it takes the incoming electrical signal and converts it to sound waves that can be heard by the listener. The incoming electrical signal flows through a magnetic coil in the speaker. 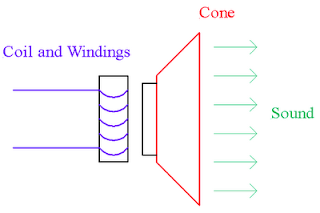 The magnetic field surrounding the coil changes in conjunction with the changing current flowing through the coil. 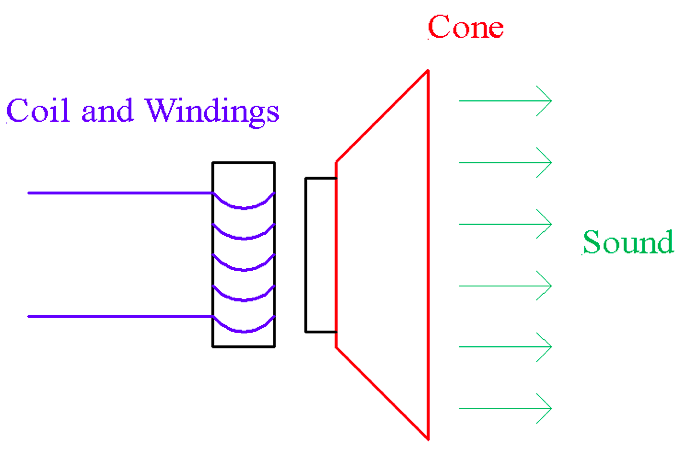 This changing magnetic field causes a cone in the speaker to vibrate. These vibrations create air pressure waves forming sound. In my next legacy PSTN post I'll describe how some additional telephone features work.